Foxborough-Dorothy Louise (Randall) Schools, age 92, passed away on Wednesday, August 29, 2018 at her home in Foxborough. She was the daughter of the late Herbert and Mildred (Smith) Randall. Dorothy was born in Foxborough on June 11, 1926 and graduated from Foxborough High School, Class of 1944. Dorothy worked for many years as a teller for the Foxborough National Bank. She also worked at the Orpheum Theater where she met her husband Harold. The two were married in Foxborough on May 16, 1947 and spent 69 blissful years together. She has been a lifelong resident of Foxborough. Every evening during the summer months the couple would drive to Horseneck Beach in Westport to relax after a long day. Dorothy loved spending time with Harold in New Hampshire and at their summer home in Marston’s Mills. She also enjoyed sewing, crocheting, shopping and an occasional cigarette. Dorothy was a loving and devoted wife and aunt. 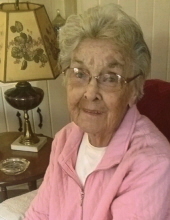 Beloved wife of the late Harold E. Schools who passed on August 2nd, 2016, she is survived by 3 sister-in-laws; Pat Randall of Foxborough and her children Brenda Denton, Brian Randall, Bruce Randall and Randy Randall; Anne Randall of Gloucester, VA and her children Cynthia Randall-Laughinghouse, Jacqueline Randall and Scott Randall and Barbara Schools of Foxborough and her family. Dorothy also had 2 brothers, the late Jack Randall and Herbert Randall Jr.
Special acknowledgement to Jacqueline, Jessica (Randall) Travers of Foxborough and James Warren of Attleboro for making it possible for Dorothy and Harold to pass at their home which was their last wish. Relatives and friends are kindly invited to attend visiting hours on Sunday, September 9, 2018 from 1-4 PM at the Roberts and Sons Funeral Home, 30 South Street in Foxborough. Burial to follow at Pondville Cemetery in Norfolk at a later date. To leave an online condolence please visit the funeral home web site at www.robertsandsonsfuneralhome.com . For additional information contact 508-543-5471. "Email Address" would like to share the life celebration of Dorothy L. Schools. Click on the "link" to go to share a favorite memory or leave a condolence message for the family.